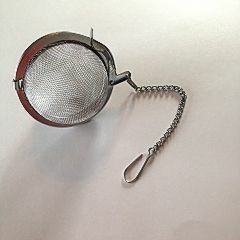 Stainless steel ball opens in the middle and closes with a latch. 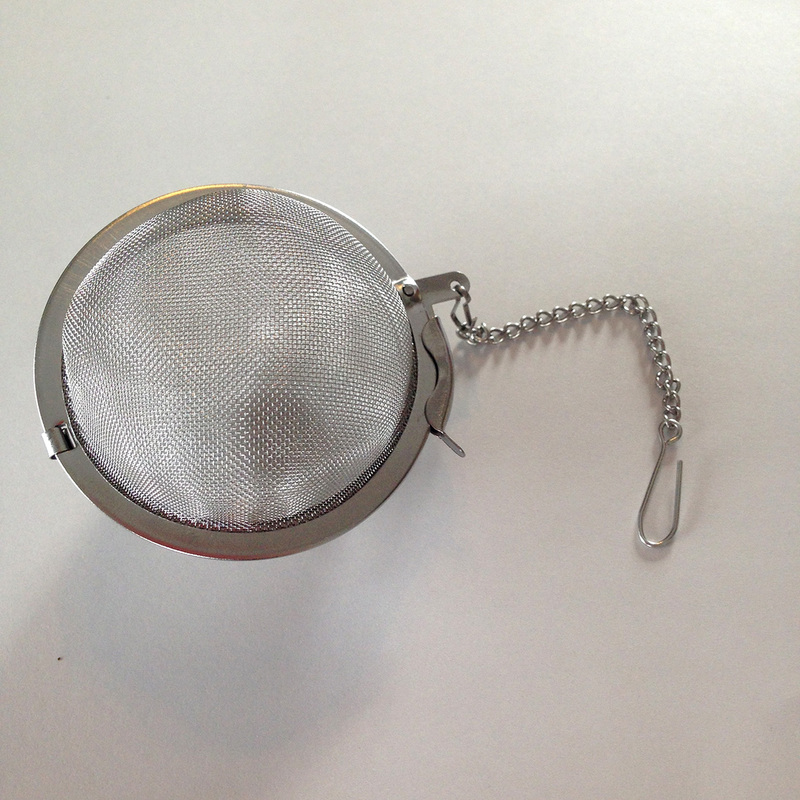 A chain and hook is attached so it can be hung off the rim of the cup or mug. This ball will hold approximately 2-5 teaspoons.